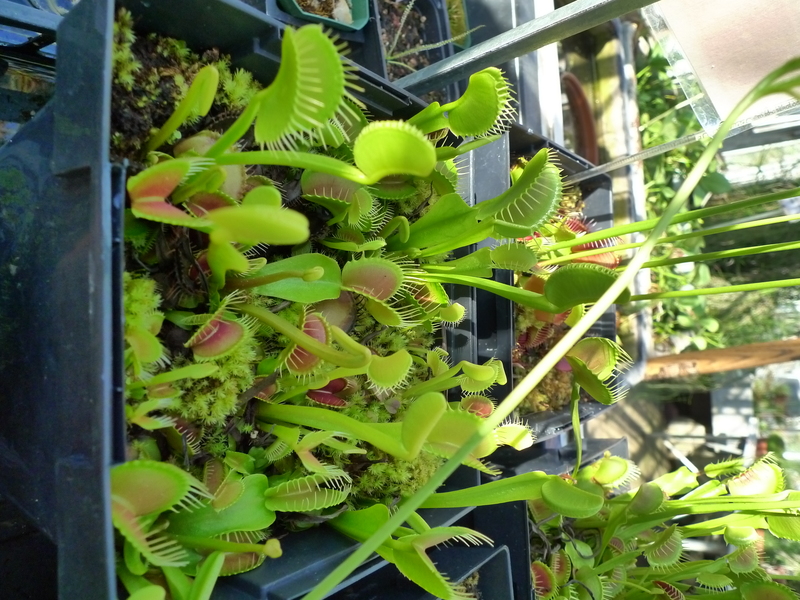 Dionaea muscipula Ellis ex L.
Description: This carnivorous plant utilizes an active steel trap mechanism. 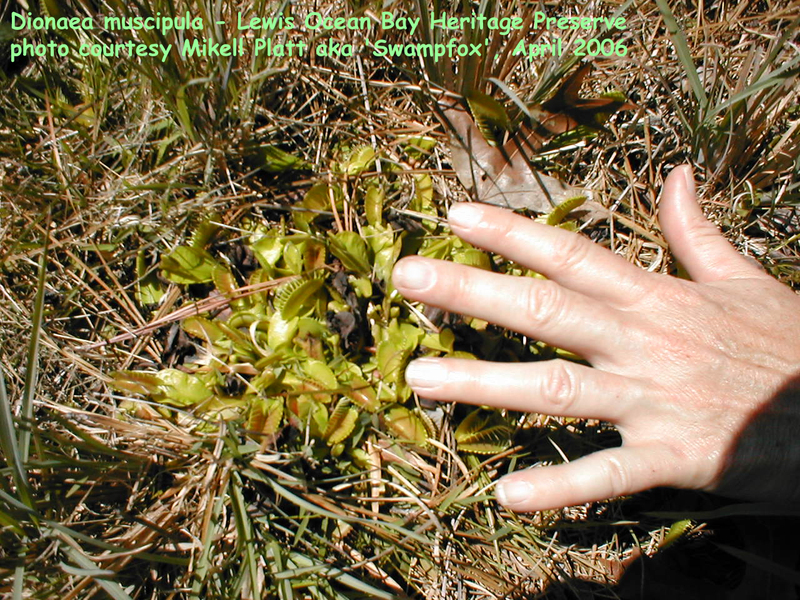 Trigger hairs on the inside lobes of the trap must be triggered twice in succession (or two different hairs on same leaf) for the traps to close. 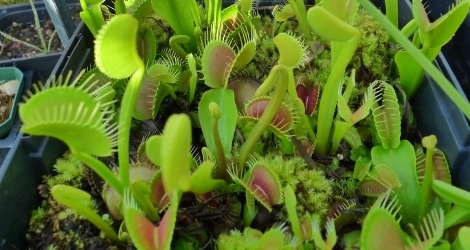 Closure of the trap occurs in about 1/30 second in full sunlight. Cool temperatures and cloudy weather will slow the trap mechanism down somewhat. The leaf perishes after capturing four insects in succession. Traps triggered by non-prey will re-open in about 24 hours. Culture: Marginally frost hardy, grow in moist, acidic soil in full sun. 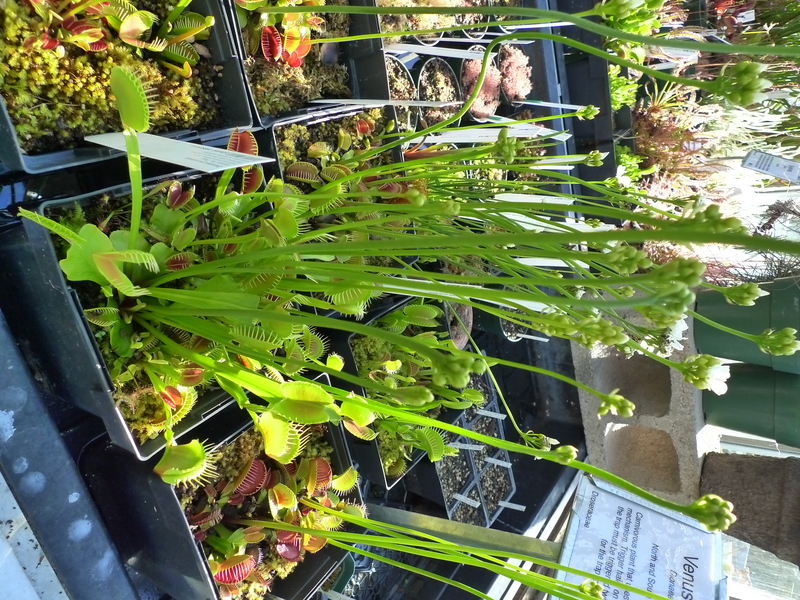 Pinching out emerging flower stems and removing dead traps will encourage new traps to grow. Propagate from seed or leaf cuttings or by division in spring. 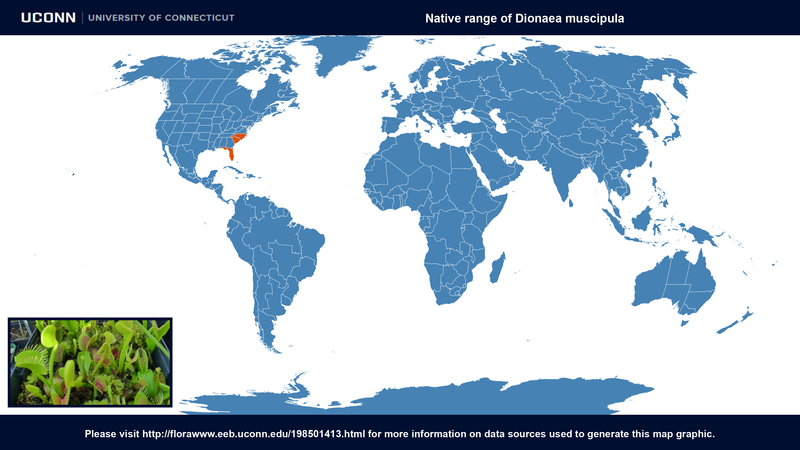 Dionaea muscipula at IUCN Redlist. Last accessed on Thursday, June 22, 2017.